Jon Kimura Parker | The Chamber Music Society of Lincoln Center. 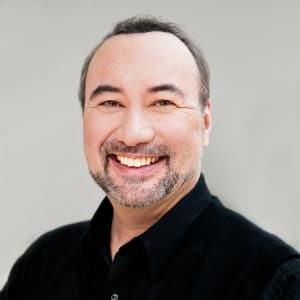 A veteran of the international concert stage, Jon Kimura Parker has performed as a soloist with the Philadelphia Orchestra and Wolfgang Sawallisch in Carnegie Hall, toured Europe with the Royal Philharmonic Orchestra and André Previn, and shared the stage with Jessye Norman at Berlin’s famed Philharmonie. An avid chamber musician, he currently tours in the Off the Score project with iconic Police drummer Stewart Copeland as well as with the Montrose Trio, featuring violinist Martin Beaver and cellist Clive Greensmith. His new CD Fantasy features Fantasies of Schubert and Schumann, as well as the sensational Wizard of Oz Fantasy by William Hirtz. Another recent CD, Rite, includes world premiere recordings of his solo piano transcriptions of both Stravinsky’s The Rite of Spring and Petrouchka. A true Canadian ambassador of music, Mr. Parker has given command performances for Queen Elizabeth II, the U.S. Supreme Court, and the Prime Ministers of Canada and Japan. He is an Officer of The Order of Canada, his country’s highest civilian honor. “Jackie” Parker studied with Edward Parker and Keiko Parker, Lee Kum-Sing at the Vancouver Academy of Music and the University of British Columbia, Marek Jablonski at the Banff Centre, and Adele Marcus at The Juilliard School. He is a professor at The Shepherd School of Music at Rice University in Houston.